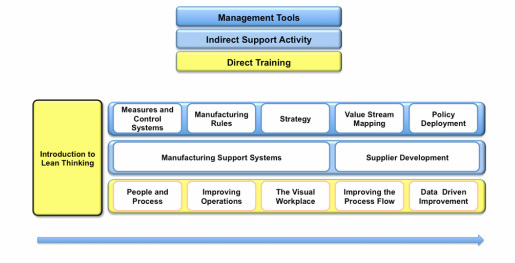 Many of the improvement activities undertaken by a company are focused predominantly on the shop floor. But many of the challenges faced by the operators are caused by poor support from planning, materials availability, maintenance, or other departments that should be supporting and optimising the value stream. Sometimes this may be caused by a lack of understanding by the support service that their purpose is to aid and maximise the value stream. This could be due to not having an all encompassing and integrated improvement initiative. We are happy to work with your company at all levels, and deliver an appropriate training package to ensure your support services are aligned with the manufacturing process.